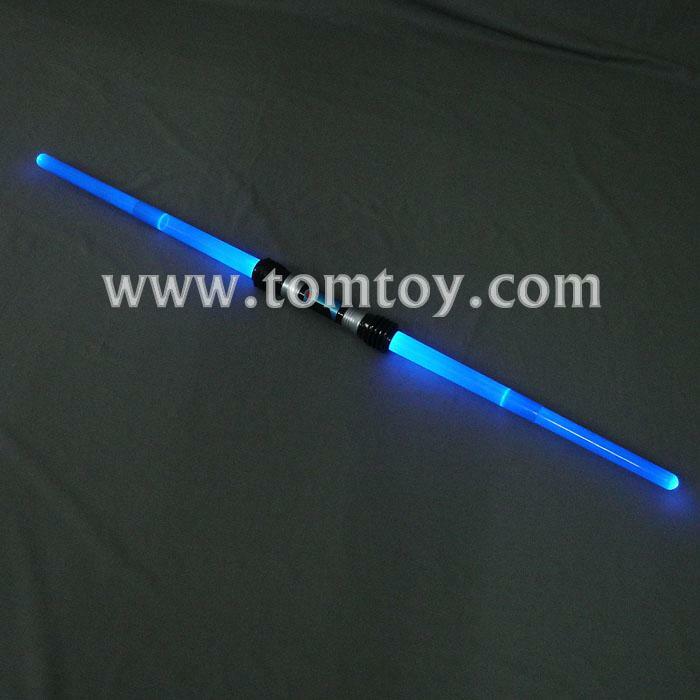 1,These LED Light Extendable Swords are perfect for any warrior! Use these amazing LED light swords at your next party. They are also the perfect accessory to light up a costume. 2,With the press of a button, the swords will activate and the blades will light up in assorted colors when moving also comes with sound . 3,Measurements: 17 inches long when extension. 4,Batteries: 3 AAA Replaceable Batteries Included.